For Bond fans, it's always difficult to separate our excitement for latest movie from the quality of the film itself. In the case of SPECTRE, the title alone succeeds in creating an instant state of nostalgia. Iconic villains are assumed, secret lairs are expected and everyone wonders if they will see a certain fluffy white kitty. But, is the movie any good? 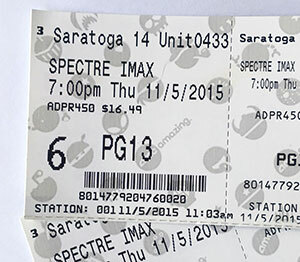 On first viewing, SPECTRE succeeds as a classic Bondian thriller. It's chock-full of exciting action, beautiful women, exotic locations, tongue-in-cheek humor, references to previous movies and a memorable villain. SPECTRE is also an uneven movie with many flaws. The villain's character is tragically underused, and his personal connection to 007 ruins his credibility. Bond's romantic relationships feel forced, extraneous subplots run wild and the film's action sequences rarely succeed in building tension. Still, for those who grew up with 007, SPECTRE is sure to evoke a sense of childhood wonder and glee … even if it doesn't feel like one of Bond's best missions. 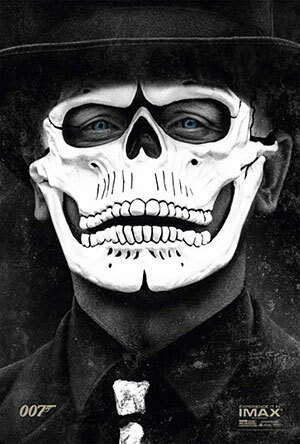 SPECTRE marks the first Craig-era adventure to utilize the classic Bond movie formula. 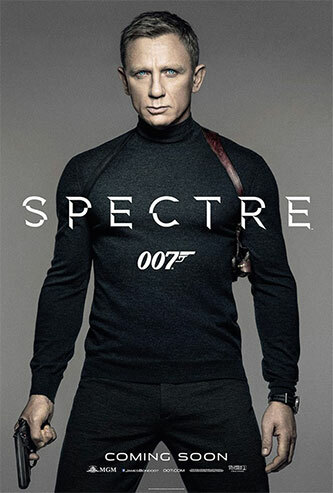 While many critics have lambasted this as a step backwards, it's exactly what Bond fans have been hoping for. After an action-packed pre-title sequence and an average theme song, Bond meets with the classic MI6 staff — M, Moneypenny and Q — before setting off for his next exotic destination. From Mexico to London, Rome, Austria and Morocco, Bond is constantly on the move. At every stop, he's punching, driving, flying, running, snooping, shooting, kissing and fornicating his way into the next clue. 007 seduces valuable information out of a beautiful woman, declares himself Bond, James Bond, follows a new lead and finds his main love interest of the film ... who first claims immunity to his charms, before inevitably falling for him later. He promptly orders a martini “shaken not stirred,” blows a bunch of stuff up, hops on board a train, kills a physically-superior henchman, discovers the villain's plot, finds himself facing death, gets away, stops the villain, saves the girl and heads off into the sunset. What more could you want from a Bond film? A cohesive plot, perhaps. The Cuban Missile Crisis was causing fear across the Western world; all Blofeld had to do was hijack some nuclear weapons and hold them for ransom. His scheme was simple … and universally terrifying. Today, the West is more worried about unconstitutional governmental surveillance than global annihilation. Always one to evolve with the times, SPECTRE's latest scheme is to secretly partner with nine world governments and take over their new massive global surveillance network. The end goal is to, presumably, do bad things with the data? Become Big Brother? It's not entirely clear, but the fate of the free world seems to be at stake. Despite clocking in as the longest Bond movie yet, SPECTRE never leaves the audience checking their watch. Christoph Waltz does a fantastic job portraying Ernst Stavro Blofeld. Although physical strength is not his forte, the head of SPECTRE comes across as creepy, menacing, evil, sadistic, cruel, calculating and brilliant. When he taunts Bond in the control room of his secret lair, it really feels as if 007 has met his match. 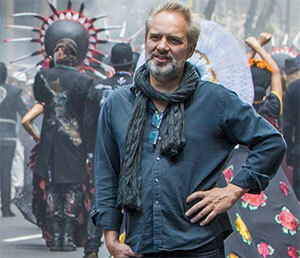 With so much going right, one is left to wonder why the movie rushes through the showdown in Morocco? 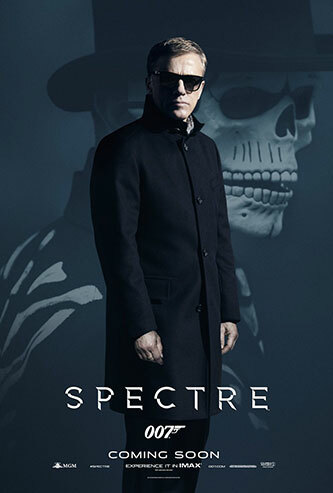 The entire third act of the film should have taken place inside the SPECTRE compound. After all, this is the matchup fans have been waiting four decades for: Bond vs Blofeld. 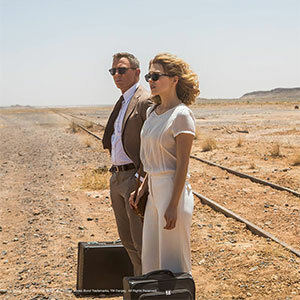 However, instead of building tension and developing their relationship, the movie quickly introduces convoluted new plot points, puts Bond in a laughably escapable situation and quickly moves the finale to London ... presumably to give the MI6 staff more screen time. Also confusing is why Blofeld had to be a face from Bond's past. SPECTRE's role in Bond's recent heartbreaks is more than enough reason for 007 to hate Blofeld. Conversely, all the trouble Bond caused over the past decade is sufficient motivation for Blofeld to be vindictive towards 007. Yet, instead of that plausible relationship, we are expected to believe that the world's mightiest criminal organization has spent the past ten years trying to piss off James Bond just because their leader has daddy issues. It just doesn't make sense, and cheapens the stories of Casino Royale, Quantum of Solace and Skyfall. Still, despite these shortcomings, SPECTRE is a great Bond movie. It succeeds on more levels than it fails, and hopefully sets the stage for another showdown with Ernst Stavro Blofeld. After opening the film with a classic gunbarrel sequence, the first four minutes glide by in one continuous take: without a single apparent cut in the filming. The rest of the pre-title sequence was equally as beautiful; as the producers recreated an entire Day of the Dead festival in Mexico City … complete with a thrilling helicopter battle above the main square. Truly one of the best of the series. While Sam Smith's oft-lambasted theme song lacks the punch of most other themes, the shortened version used in the movie works well alongside the beautiful visuals. Daniel Kleinman did an outstanding job designing his seventh Bond title sequence. The dancing girls feature more prominently than they did in Skyfall, and Daniel Craig got a chance to show off his abs. Featuring scenes from the other Craig-era films was another great touch. And yes, even the strange oily octopus was cool. 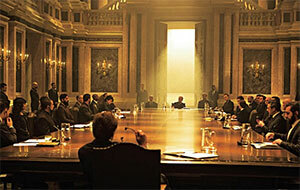 The SPECTRE board meeting provides one of the most tense, fun and retro scenes in the movie. For the first time since 1965's Thunderball, we see all agents of this shadowy organization in one place at one time. All that was missing was a sliding door hidden in a Parisian NGO. Another highlight of SPECTRE was Bond's “chess match” with Mr. White. Sure, the metaphor was obvious and a bit of a cliché, but seeing Mr. White slide the octopus ring across the chess board next to the rook, followed by Bond passing his Walther PPK across the board… it's enough to give you chills. By naming Bond 24 SPECTRE, the movie instantly teased one of the series' most beloved and iconic villainous organizations — one that could seemingly be led by only one man. That alone was enough to induce a Pavlovian response from the Bond faithful. Although Christoph Waltz publicly claimed that his character was not Blofeld, most Bond fans expected that to change at some point during SPECTRE. And change it did. When Bond saw the white Persian cat and heard Oberhauser introduce himself as Ernst Stavro Blofeld, a wave of glee came over me. For an extended moment, I was as giddy as a little kid, thrusting my hands into the air and squeeing audibly in the theater. 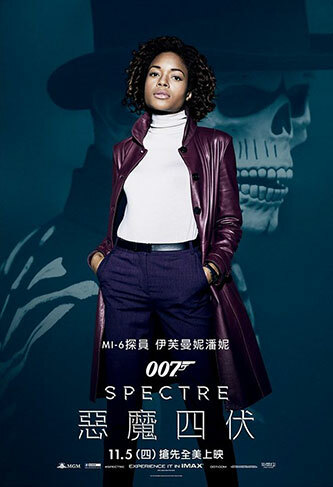 One of SPECTRE's highlights is the extended use of the MI6 support staff: M, Q and Moneypenny. While M is busy trying to keep MI6 afloat, Q and Moneypenny are neck-deep in covertly helping 007 on his mission … at the potential expense of their own careers. Although Ralph Fiennes spends too much of SPECTRE in angry/stressed mode, it's great to see Judi Dench in a short cameo, leading Bond on his latest mission from beyond the grave. One can only hope that future movies develop the relationship with this new M in the same way. The scene in Q-Lab is an instant classic, as Ben Whishaw channels his inner Desmond Llewelyn while making the role his own. The relationship between Q and Bond is playful, familiar, mutually respectful and yet slightly irritated: especially when Q finds 007 in Austria. It's the best use of the character since Llewelyn joined Timothy Dalton in the field in 1989's License to Kill. Meanwhile, SPECTRE marks the first time we see a bit of Moneypenny's personal life. Not only does she have a “friend” staying overnight, but she also has a fully-stocked fridge. The love scene with Monica Bellucci is a classic example of, “I'll seduce the bad guy's girlfriend to get a critical clue.” Except, for once, the woman lives. Blofeld's lair seemed like a mix between Dr. No's hideout and Blofeld's hollowed out volcano in You Only Live Twice. The train scene was very reminiscent of the Orient Express in From Russia With Love. Except for Omega and Heineken, most of the product placement was subtle. But boy, they sure did show Bond's watch a lot. The MI6 safe house is called “Hildebrand Rarity & Treasures,” which is a reference to a short story called the Hildebrand Rarity in Ian Fleming's For Your Eyes Only. For all that SPECTRE did right, there were quite a few things that didn't quite work. When George Lazenby drove off with Tracy Bond at the end of On Her Majesty's Secret Service, their love was obvious, pure and beautiful. When Daniel Craig mourned the death of Vesper Lynd across two movies, we felt Bond's sorrow and mourned alongside him. However, when Madeline Swann confesses her love for 007, it seems unrealistic and forced. One can assume that their relationship developed off-screen, as they had plenty of travel time to get to know each other and develop a sense of intimacy. But the audience isn't along for the ride. We simply see a brief game of cold, then hot, then drunk, then cold, then love. Bond's interest in Swann doesn't appear to be much more than a casual fling … yet there he is, driving off to start a new life with her in his DB5. Skyfall was the most beautifully directed movie in the Bond series, especially the Macau casino floating candle scene and the blue silhouette fight atop a Shanghai skyscraper. In SPECTRE, Sam Mendes seems to be lacking that flare. Other than the magnificent pre-title sequence and his brilliant use of empty space in Morocco, the film seemed a bit flat. Perhaps this is because Roger Deakins, his cinematographer for Skyfall, was absent from SPECTRE. How was Silva a part of SPECTRE? He seemed like a throw in, just to tie all the Craig-era Bond films together. In reality, Skyfall was a stand alone piece … just like Goldfinger. The car chase was amazing, but what was the purpose? Bautista never tried to overtake or smash Bond. He just chased him. How did the bad guys on the gondola in Austria know who Q was, and why were they chasing him? Speaking of Austria, where did Bond find the plane he stole? When the bad guys kidnapped Bond during the finale, was their plan simply to leave him in that lobby? If so, they were basically killed for successfully completing their mission. 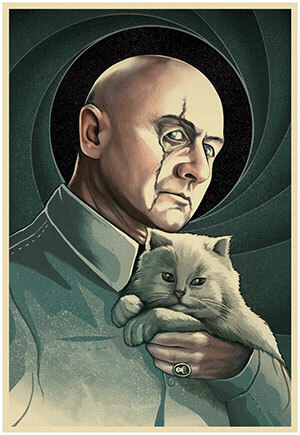 So Blofeld is Bond's foster brother? Sounds suspiciously like the plot to Austin Powers: Goldmember. While it doesn't bother me, the connection does make the movie a bit of a joke in some circles. How did the SPECTRE ring have the DNA of so many people on it? What are the odds that LeChiffre, Dominic Green, Silva and Blofeld all touched some mid-level SPECTRE agent's ring? Max Dengbhi, aka 'C', has too much screen time for someone who shares a mere minute with 007. Sure, Andrew Scott gives a devilishly delightful performance in the roll, but it seems that the character mostly exists to give M someone to battle, thereby taking the focus off Bond. SPECTRE's meaning is never revealed. Yes, previous adventures tell us it stands for SPecial Executive for Counter-Intelligence, Terrorism, Revenge and Extortion. But, they never say anything about that in the movie. Hinx is underused. Though, for a character with no dialogue except one final expletive, they do a decent job of developing his character. For most of the movie, Bond doesn't even realize what he's involved in. He's just stumbling along and happens to find a guy in the middle of doing a bad thing. SPECTRE has not officially appeared in a Bond movie since 1971's Diamonds are Forever. SPECTRE stands for Special Executive for Counterintelligence, terrorism, revenge and extortion. 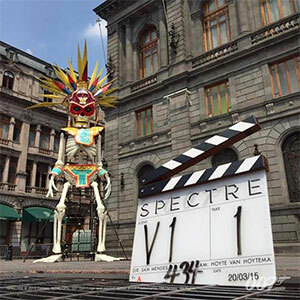 SPECTRE was introduced in Dr. No: the first 007 movie.